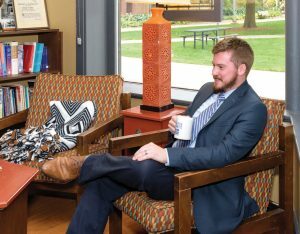 Steven Drapalik, Director of Campus Ministry at StoutCatholic relaxes in the sitting area of the Ministry building on the campus of UW-Stout in Menomonie, Wisconsin that is home to StoutCatholic. Steven Drapalik, director of the Campus Ministry at StoutCatholic, grew up in a Catholic family in the northwest suburbs of Chicago. He served at the altar and regularly attended CCD classes at his local parish church. He started having questions about his faith while dating a young woman in high school who was a Bible-based non-Catholic. The relationship ended after four years, in large part due to religious disagreements. She met someone on a mission trip who was more spiritually aligned with her and ultimately became engaged. 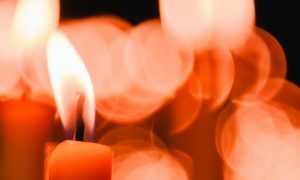 As a student at Illinois State University (ISU), majoring in business management, he attended Mass his first year, but the news about his girlfriend was the final straw that led him to cut God out of his life. He stopped going to church. “God was no longer relevant to me. I started living a typical college life as I saw it in the movies and on TV. I started falling into the traps that college students fall into. I eventually got to the point where I was not happy. I would wake up feeling broken and empty. … I was wondering if this was all there was,” he explains. Despite not attending Mass, Steven did participate in a Bible study group while in college. “I have always had this gift of being able to recall Scripture depending on what we are talking about. It was my way of showing these Catholics that I knew more about their faith than they did; though I was not practicing [it].” It was not until Steven’s senior year at ISU that he encountered a FOCUS (Fellowship of Catholic University Students) missionary, Paul DeBuff, at Bible study who asked him where he was in his faith. 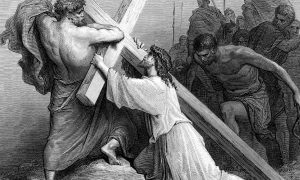 “God does not mean anything to me, I am just here” Steven replied. “The missionary did not judge me, he accepted me as I was.” He invited Steven to attend Mass with him. That invitation changed Steven’s life because it led to a spiritual rebirth. Steven Drapalik poses for a photo with disciples of StoutCatholic. From the left – Front Row: Mindy Knepprath, Kayla Ignasiak, Mallory Schneider, Rebecca Loebach. Middle Row: Steve Drapalik, Karie Holmstadt, Shelby Kaufer, Tyler Elwood, Robert Foxgrover-Foley, Briana Roberts. Back Row: Neal Wrobel, Michael Loes, Emma Kosanke, Andrew Hirl, Max Zamzow. Not Pictured: Grace Becher, Sarah Braatz, Anne Marie Derosier, Cody Fleischman. He started going to Mass more often and within him there was a growing insatiable hunger to know more about the Church, its teachings and the saints. He developed an active prayer life — to the point where he could not stop telling people about Christ. “Evangelization was my life, no matter where I was at. I had this understanding that there was a God that loves them, who is right there reaching out to them. All they have to do is respond,” he says. To take a leap of faith, he started with five students who coordinated the weekly dinners. Steven expanded the leadership team that grew to nine in the first year. Students were put in charge of different areas of ministry, like formation, service, outreach, etc. He introduced weekly eucharistic adoration. With this modest core group of students, he described his vision for a StoutCatholic discipleship program, which is founded on the principles of apprenticeship. Following consistent attendance at a Bible study or retreat, students are invited to join Discipleship, an intensive four-semester formation program consisting of mentorship and catechesis. Steven based this format on a modified version of what he refers to as the “Sy Model,” named after his former FOCUS team director at UF, Miko Sy. 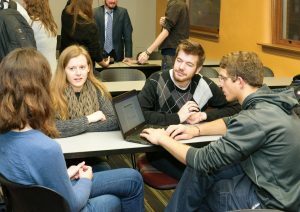 In mentorship, students meet weekly for 30 minutes. They are mentored by a veteran disciple for one to two semesters, after which, they then do likewise for newly initiated disciples. All are expected to mentor one to two students within their time in discipleship. 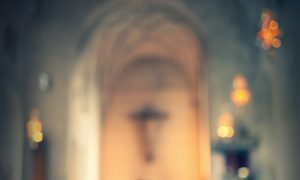 Catechesis involves attendance at weekly classes, 60-90 minutes long, each semester for four semesters, focused upon the topics of prayer, salvation history, Catholic social teaching, and apologetics, respectively. 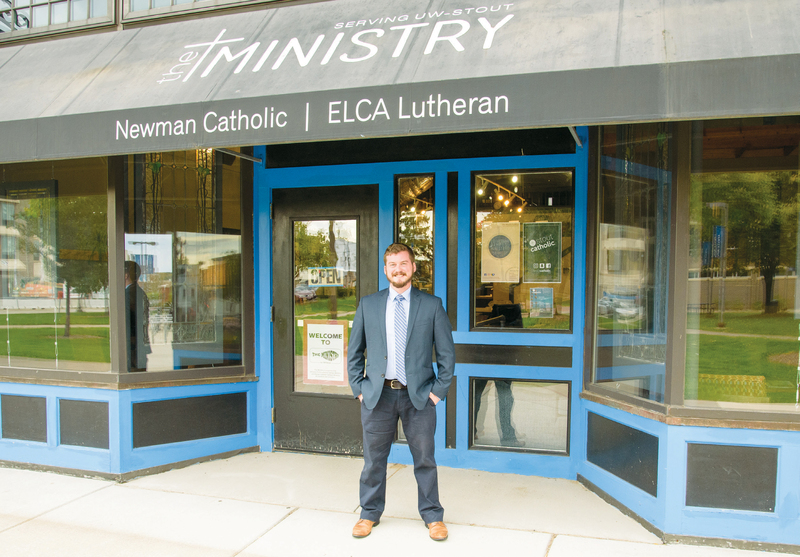 As Steven begins his third year as director of the Campus Ministry at StoutCatholic, students initiated into the Discipleship program have tripled since he arrived on campus, now numbering about 30. 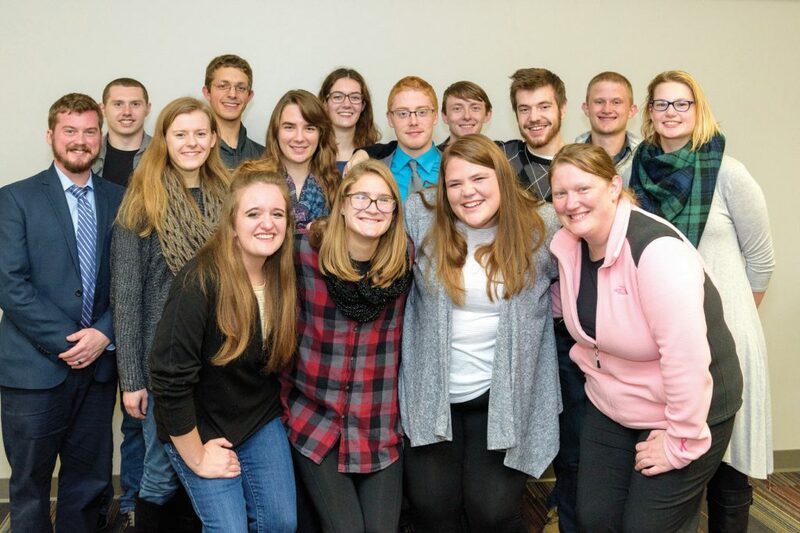 StoutCatholic Ministry programs are flourishing thanks to the activities of their student president and eight ministry coordinators. Sunday Mass attendance at St. Joseph’s Parish has increased and usually averages 130 students.